Your company’s next event is approaching. You have the venue booked, the décor decided upon, and the caterer ready to go. Now it’s time to get people in the room. The more buzz your event obtains, the more attendees will be at your event. The more attendees at your event, the greater your company following and the greater the return on investment if you’re selling tickets. Your mind may be racing in a million different directions trying to come up with ways to get your event out to the public, but one of the most effective ways to do so is through a social media campaign. 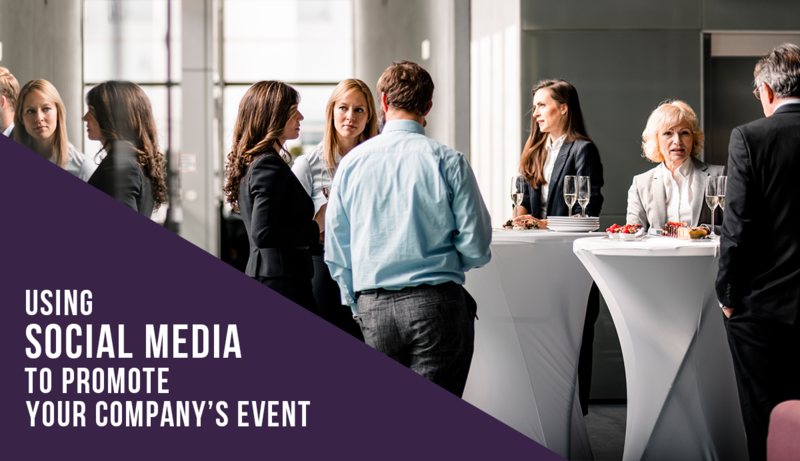 Social media is an effective outlet used to develop and execute an event marketing plan. Many companies use social media because it’s a relatively inexpensive way to spread the word about a company’s mission, products and events to a large number of consumers. Companies will hire an event marketing agency to help them determine their goals and event marketing strategies for the campaign and lay out a detailed plan to how they’re going to do so. Social media marketing plans for event promotion can be planned and scheduled ahead of time, allowing you to focus on additional ways to spread the word. What Are the Benefits to Using Social Media? Create buzz: Social media outlets have varying features to facilitate event marketing. An event marketing agency can help you utilize these features to create an enticing campaign plan for the weeks leading up to your event to create buzz among your target audience. For example, Facebook allows you to create specific pages for your events. On these pages, you have the ability to make the event open or closed to the public and invite your company’s followers. 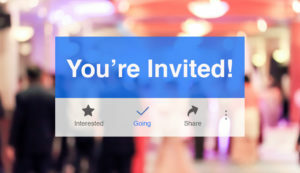 If open, those invited can share the event on their pages to generate more visibility. This allows more people to learn about and attend your event than you were initially targeting. 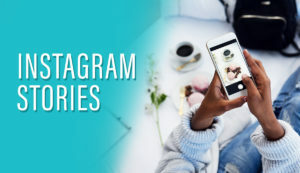 For Twitter and Instagram, your marketing agency can help you create a relevant hashtag campaign specific to your event. Users will then be able to incorporate this hashtag in their posts in order to spread the word about your event. Interact with audience: Whether on an event page or through an event hashtag, all social media outlets allow you to see who is discussing your event and join in on the conversation. Through interacting with others, you can respond to questions or comments about your company and the event. This will immediately generate trust between you and users, making them more likely to attend your event. By analyzing audience engagement, you can also gauge public perception of your event and determine if there’s anything you need to change to boost appeal. Reach out to influencers: The greater the number of accounts that post about your event, the greater the number of audiences exposed to the event. By reaching out to important industry influencers, you have the opportunity to build relationships with another company and expand your audience reach. Figuring out how to approach an influencer may be difficult, so your event marketing agency can assist you in determining the most effective strategy to do so. Invest in Online Advertising: You know those advertisements for products or local events that are scattered throughout your Facebook feed? Those are paid advertisements geared toward a specific audience that may be interested in such products or events. By investing in paid advertisements, you have the ability to expand your target audience reach, while only reaching a specific demographic. Your event marketing agency can help you narrow down your audience demographics, allowing you to specifically target this audience. For example, if a local beauty company in Orlando is hosting an event to promote their newest hair product, they’ll likely only attempt to target females living near Orlando. Paid advertising is a budget-friendly way to maximize your audience reach. Post live coverage: On the day of the event, you can post event coverage in real time. Live coverage is very engaging, as it makes viewers feel they’re actually attending the event. Through stories or live features, you can make those who are not at the event wish they attended. These people will be more likely to attend one of your future events. On the other hand, those at the event can go home and reminisce by looking at this live coverage on Facebook or Instagram. After your exhilaration has subsided and event day has passed, it’s time for you to sit down with your marketing agency and analyze your key performance indicators to determine the success of your social media campaign. Examine follower increases, engagement levels, ticket sales and other indicators to evaluate whether you met your initial goals. This will help you determine how you’ll improve your next campaign.